October is National Breast Cancer Awareness Month, and Girl Scouts across the country are working to raise awareness and money to help find a cure and foster an environment supportive of greater breast cancer education and research. On October 20, girls from the Girl Scouts of Greater Chicago and Northwest Indiana council cheered on walkers in the annual Making Strides Against Breast Cancer Walk in Valparaiso, Indiana, holding up posters and encouraging participants. Girls and staff from the Girl Scouts Heart of the South council have worn pink ribbons throughout the month to raise awareness of the ongoing fight against breast cancer and serve as volunteers for the North Mississippi Susan G. Komen Race for the Cure. And a Girl Scout troop from Des Moines, Iowa, decorated bras that will be auctioned off for charity. 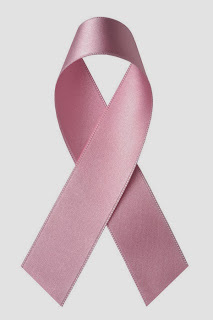 Breast cancer, which is genetically linked in only about 10 percent of cases, is one of the most misunderstood cancers in the world. It can affect both women and men, and claims the lives of more than 400,000 people every year. Among women, it accounts for almost 15 percent of all cancer-related deaths. A healthy, active lifestyle; education; regular screenings; and early detection are key to ensuring fewer women and men succumb to this deadly disease. Healthy living and an active lifestyle are core tenets of Girl Scouting. Through our Healthy Habits Journey booklet, girls learn how to take care of their bodies and be health conscious their entire lives through, for instance, hiking, trying new sports, and preparing nutritious meals. At Girl Scouts, we aim to give girls the information they need to make informed decisions about their health and the leadership skills they need to take care of themselves and others. To learn more about breast cancer, or to make a donation for a cure, visit: http://www.bcrfcure.org/.